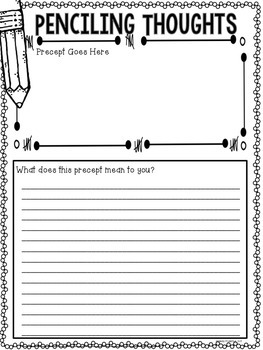 Have your students read WONDER? 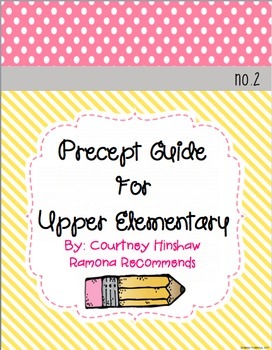 Check out my newest product- Precept Writing. This goes with R.J. Palacio's 365 Days of Wonder. 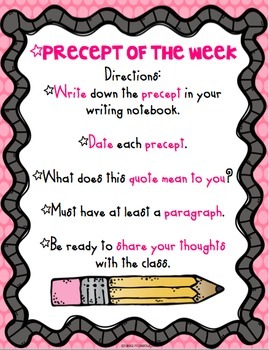 Each week your students will write about a selected precept and reflect how it involves them. 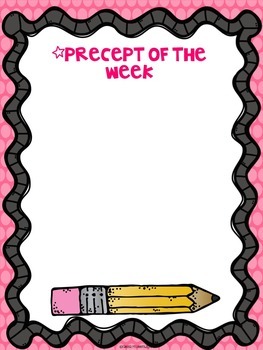 EDITABLE- The worksheet and Precept Poster are editable.